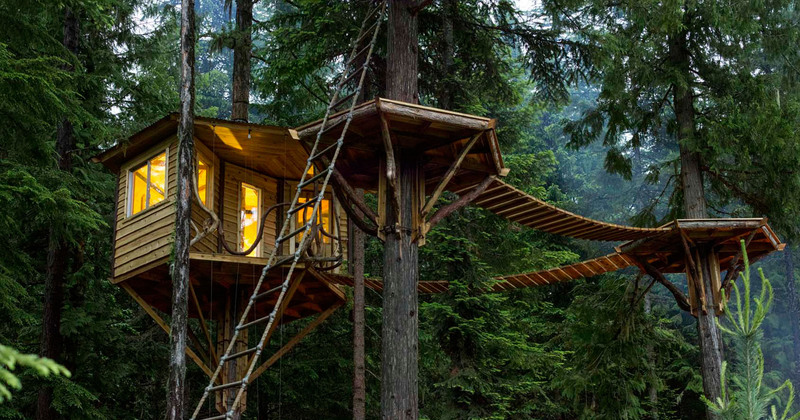 What about a treehouse in the boonies? Maybe a log cabin in a tree? As long as there is hot water, internet and companionship, it would be okay. Yeh I think id prob have those on my must have list too.